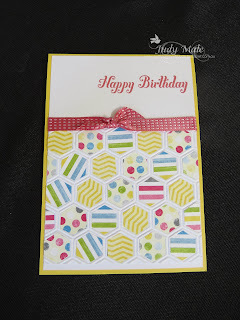 Can you believe that I have been with Stampin' Up! for one year already! The time has gone so fast and what an amazing year it has been. The best thing of all is the new group of friends I've made within my fellow Demonstrators and my wonderful crafty customers. You have all made my journey incredible, so THANK YOU! Now down to business...... 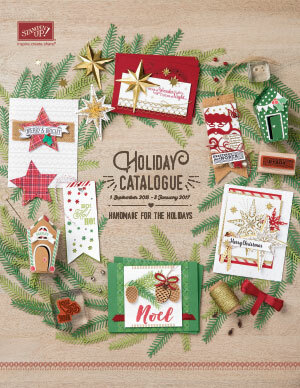 Check out the new Seasonal Catalogue. There are so many lovely new products to add to our wish lists! I am having a Catalogue Launch workshop on Sunday to showcase some of our new products and can't wait to put my next order in to have some more play things to create with. One of my new favourite items is the 'Honeycomb Textured Embossing Folder'. If you remember, I showed another sneak peak card on my last blog using this same folder. I also embossed some 'Sunshine and Sprinkles' Designer Series Paper and then simply snipped the inner side of the hexagons and then attached them to the shapes. The stitched ribbon is Primrose Petals and I have used matching ink and the Happy Birthday is from the 'Bring on the Cake' Stamp Set from our current Annual Catalogue. 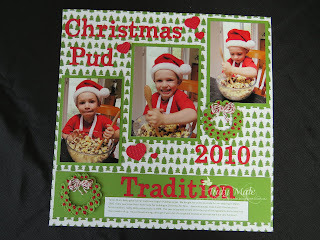 I CASED a similar design on Mary Fish's blog, you can have a look on her website www.stampinpretty.com. I have been doing some scrapbook pages again and this idea I CASED from one I saw on Pinterest by Melissa Stout. I made a few of my own slight changes. 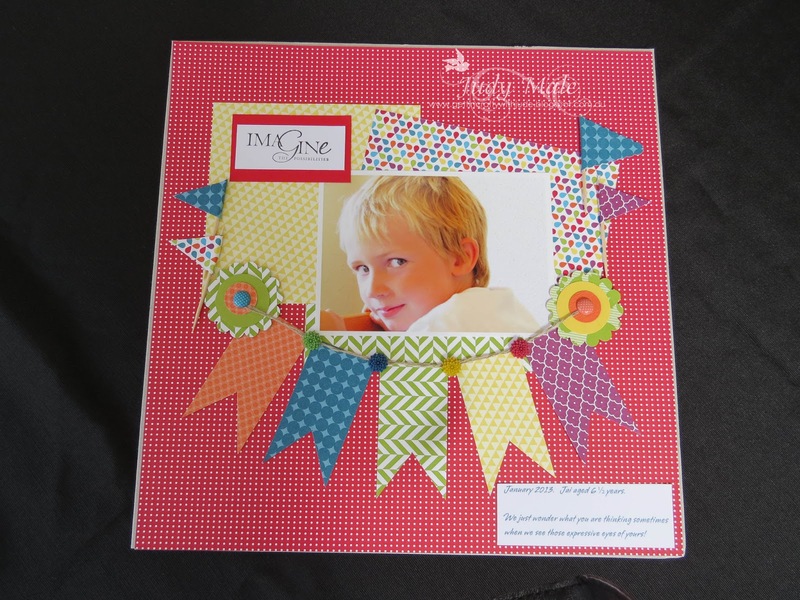 Don't you love the colours in the 'Summer Smooches' Designer Series Paper? My Grandson Jai's cheeky expression is priceless, mmm don't you just wonder what he is thinking! Lastly, don't forget that the Sale-a-bration celebration is still running until 22nd March. For every $100 you spend you get to choose a FREE product from the SAB Catalogue. And if you host a party and your party sales gets to $300 you get a FREE pack of Silver Glimmer Paper as well as your usual $50 of Free products from any current catalogues! What are you waiting for? contact me and we'll set a date for your party. If you don't want to hold a party you can still order at any time and still take advantage of the Sale-a-bration offer.